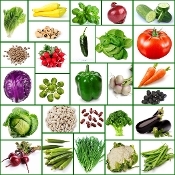 47 Variety of Vegetable Seeds non hybird heirloom seeds. 45 days. Heavy, glossy, dark green leaves are heavily savoyed and crumpled. Slow to bolt. 50+ Survival Seeds. 80 days. Fruits are a deep-purple, egg-shaped globe about 6 by 5 inches. Flesh is smooth, creamy and pale yellow. 50+ Survival Seeds. 54 days AAS Winner. A USDA release that is widely adapted. Round 5½ to 6 inch, stringless pods. Consistent high yields.25+ Survival Seeds. 70 days. Coreless type good for canning, juicing or eating raw. Deep orange flesh won’t fade during cooking. 10 inches long by 1 1/2 inches wide, tapered at the ends with purple-tinged leaves. 150+ Survival Seeds. Grown for its dark green, tender 16-22 inch tops. Turnip greens are tasty when steamed, stir-fried, or used in salads. The seeds can also be used for sprouts.550+Survival Seeds. 45 days. AAS Winner. Loose leaf type. Large, deeply notched and frilled leaves. Tender and sweet even when the heat sets in. Very slow to bolt. 150+ Survival Vegetable Seeds.